Princeton University Press, 9780691160627, 192pp. 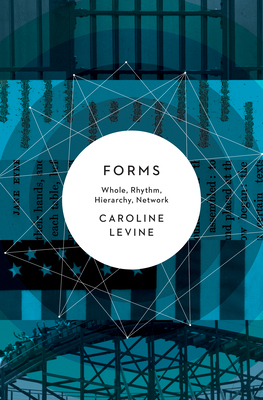 Forms offers a powerful new answer to one of the most pressing problems facing literary, critical, and cultural studies today-how to connect form to political, social, and historical context. Caroline Levine argues that forms organize not only works of art but also political life-and our attempts to know both art and politics. Inescapable and frequently troubling, forms shape every aspect of our experience. Yet, forms don't impose their order in any simple way. Multiple shapes, patterns, and arrangements, overlapping and colliding, generate complex and unpredictable social landscapes that challenge and unsettle conventional analytic models in literary and cultural studies.Borrowing the concept of "affordances" from design theory, this book investigates the specific ways that four major forms-wholes, rhythms, hierarchies, and networks-have structured culture, politics, and scholarly knowledge across periods, and it proposes exciting new ways of linking formalism to historicism and literature to politics. Levine rereads both formalist and antiformalist theorists, including Cleanth Brooks, Michel Foucault, Jacques Ranciere, Mary Poovey, and Judith Butler, and she offers engaging accounts of a wide range of objects, from medieval convents and modern theme parks to Sophocles's Antigone and the television series The Wire.The result is a radically new way of thinking about form for the next generation and essential reading for scholars and students across the humanities who must wrestle with the problem of form and context.